Are you wanting to learn more about the positions up for election this year or are not sure how the voting process works? 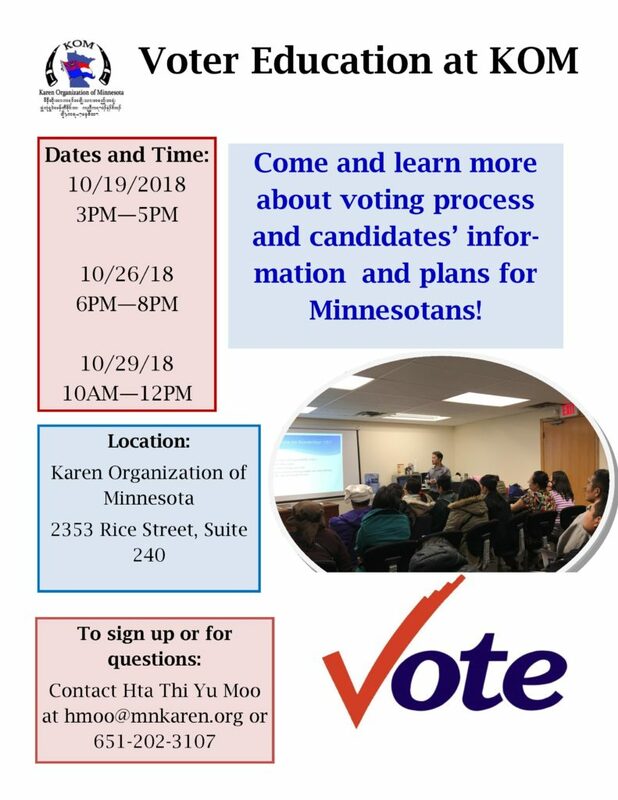 Come to KOM on one of the three days listed in October to learn about the voting process and see who the candidates are in Minnesota. One big position up for election this year is Minnesota governor! To sign up, or for more information, contact Hta Thi Yu Moo. 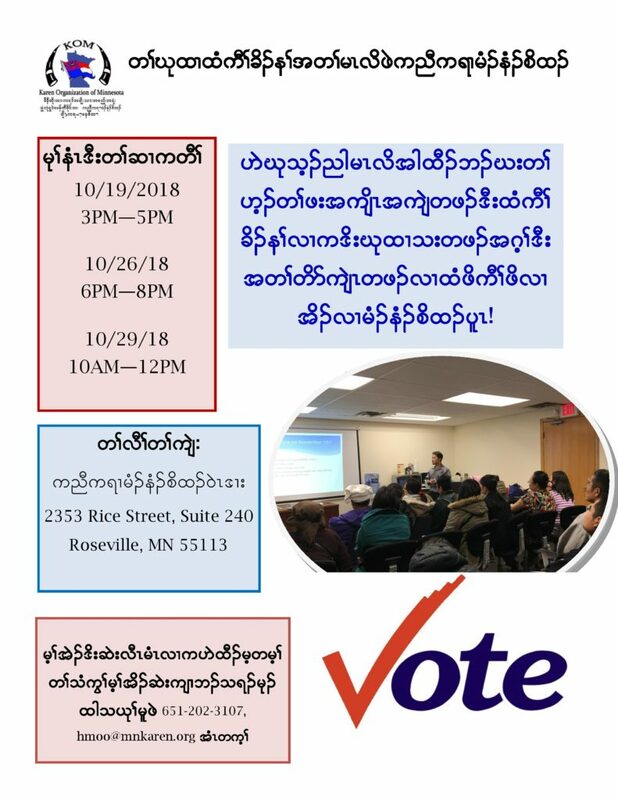 These voter education sessions are organized by KOM in partnership with CAPI USA. There is no voter education on October 19th at 10AM. It is only from 3-5PM on the 19th.